CMBM has invested in advanced technology that allows us to seamlessly connect with your business anywhere, at any time. We can quote and resolve issues via a digital platform that saves both time and money, and doesn’t use up valuable business data. These services are delivered quickly in an intelligent and efficient manner. JobView is an app-free platform that you can access from any tablet or smartphone. Through this portal, CMBM can provide quotes, advice, and much more. The image, video and voice capture capabilities allow communication and recording of all facility aspects, and allow us to quickly generate a maintenance report. We know that your time is valuable, and you don’t want to waste it waiting for hours on a call-out. Our fast, responsive communications platform allows for simplified problem-solving and reporting. 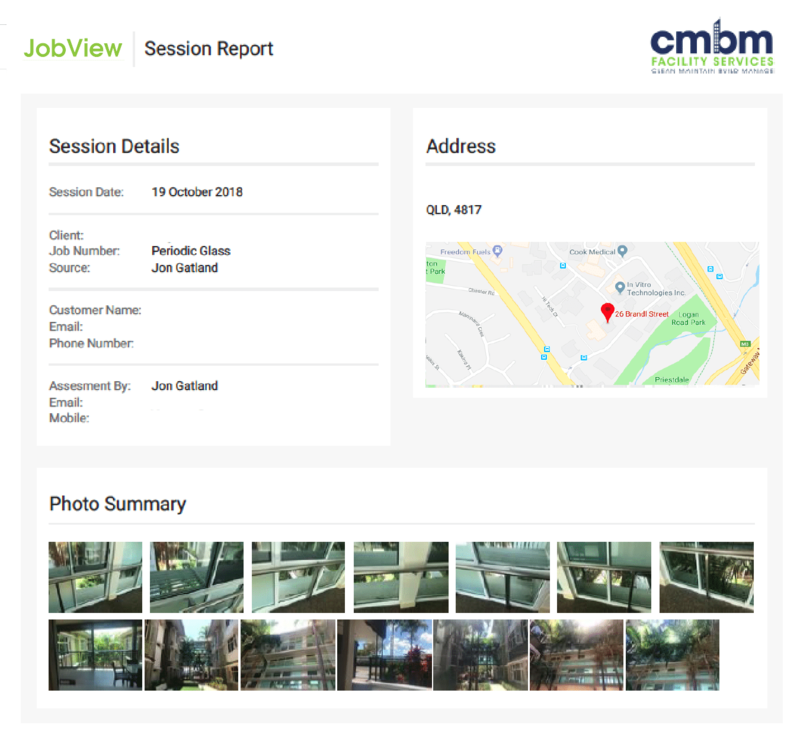 For more information on JobView and how it can help your facility, contact CMBM Facility Services today for a free demonstration. One of our regional Queensland clients needed their apartment complex windows pressure-cleaned. As the site was a long distance from our head office, we provided them with a comprehensive quote via the JobView platform. The platform allowed us to speak directly with the client whilst simultaneously seeing exactly what they wanted done. Our staff member was able to add notes to each photograph with specific details about the job, then generated a report to send to the client that included all of the photos and notes from the session.